The dramatic scenery as the sun resting below the horizon have been so kind to have let it exists and slowly passing off as darkness slowly covering the whole area of space. It was already dark when I left the Province of Sultan Kudarat and went straight to General Santos City as I’m going to visit the Province of Sarangani early in the morning on the succeeding day. The busy street of General Santos City was setting forth to make noise early in the morning as it speaks about the busy life of people in the City. I was kind of confused on which part of Sarangani Province should I travel to. Baffling on the suggestions of local to whom I have asked with. 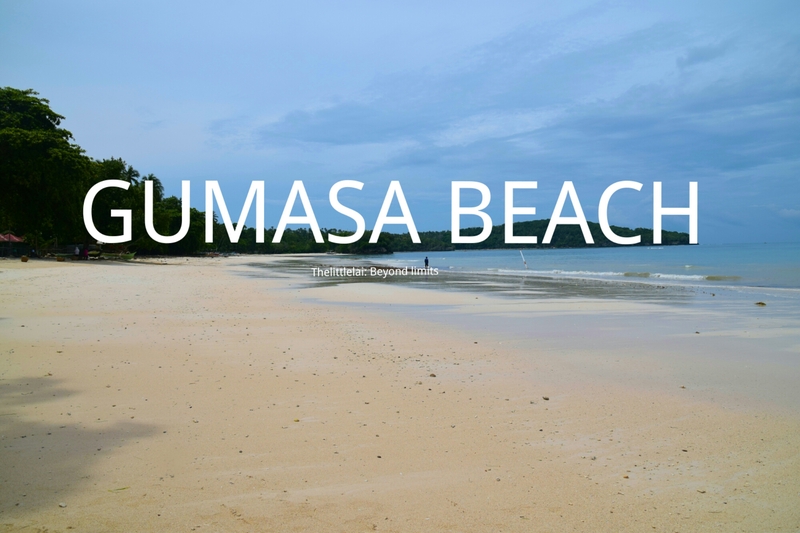 I was about to visit Tuka Marine Park in Kiamba, but ended up visiting Gumasa Beach which was my original plan. I’m not a beach lover and never been in love with beaches, but I can’t elude the fact the I love how the sea breeze kissing my surface while the wave gently splashing on my feet bringing a soothing sound of peace. There’s always something a beach can offer that I can’t elucidate and perhaps that’s something makes me end up visiting white sand beaches in the Philippines. I usually don’t drench myself to the turquoise water, whenever I visit the white sand beach. I know it sounds weird and confusing reading this, but I like the notion of being at the beach. I took the early trip from General Santos City going to Glan. I ride a van near the KCC Mall and went straight to Glan for another exciting day. At the terminal of Glan, there were tricycle drivers that surely welcome you with their negotiating skills and would make you say YES at the end of the conversation. Then I made a deal with one of the drivers to bring me to Gumasa beach. 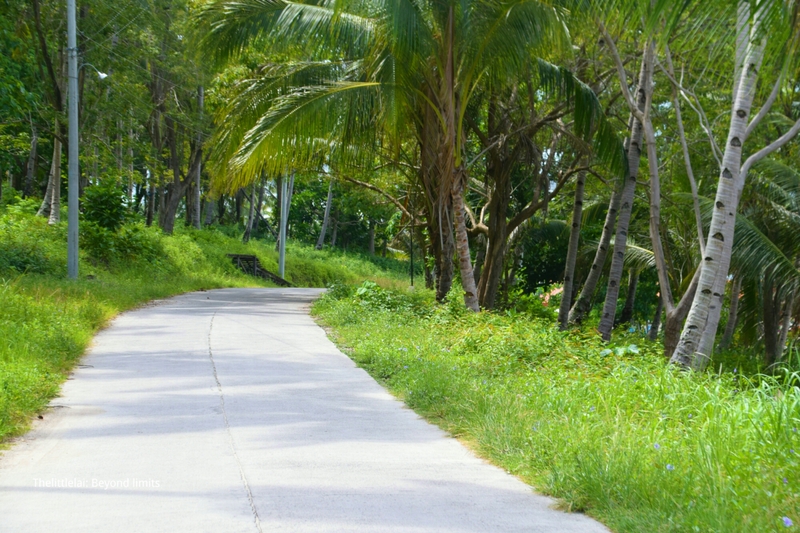 The road going to Gumasa Beach is like you’re being draped with a sea breeze and the fresh air from the lush scenery green forest on the other side. They seem to come across in the middle while I was their boundary and I enjoy them both as they bore upon my surface. 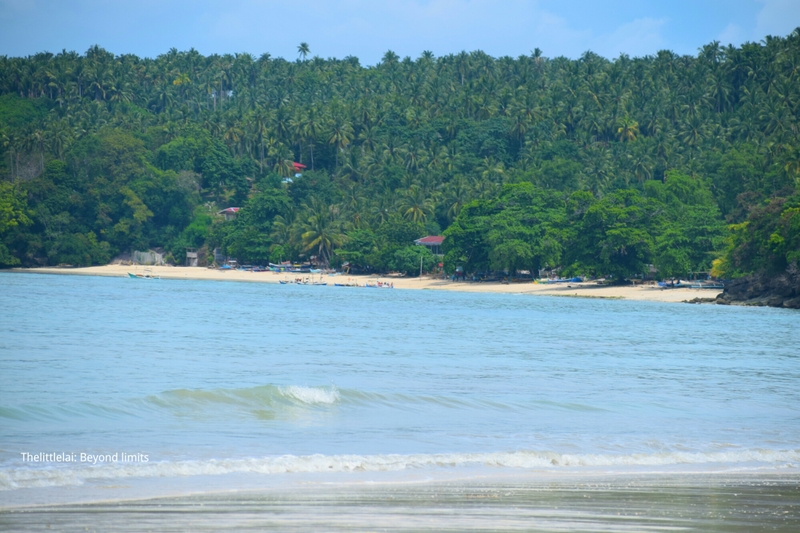 Gumasa Beach is near one kilometer of a long stretch of powdery white sand beach with turquoise waters and known to be a Small Boracay of the Southern Mindanao. In order for me to arrive to the Gumasa Beach, I have to enter to the Resort which I have to choose which Resort should I visit. Since I’m not literally familiar of the place, I asked the driver which one he could recommend where I could get a glimpse of the Gumasa beach. He then told me to visit Isla Jardin Del Mar Resort, which is sited at the almost end part of the Gumasa Beach. 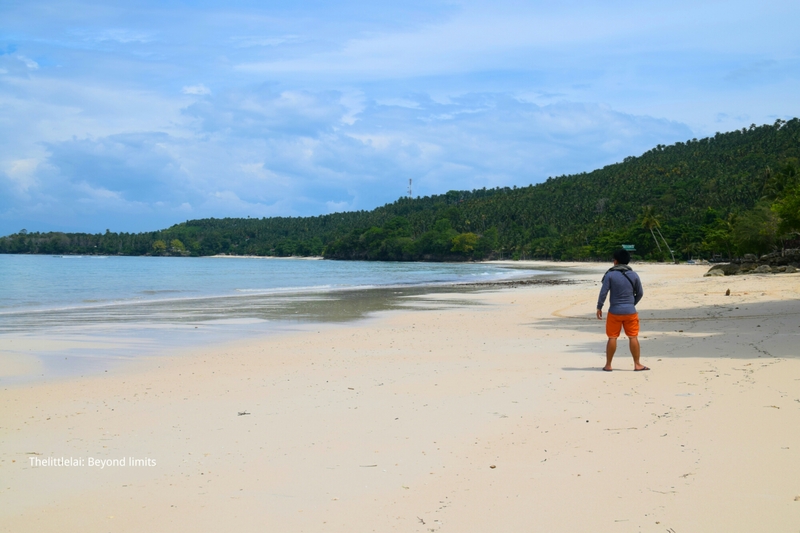 The minute I arrived at the Isla Jardin Del Mar Resort, I paid for an entrance fee around PHP 50 and went to Gumasa beach, it is truly a piece of paradise. It was early in the morning when I arrived like around 9:00 in the morning and as expected it wasn’t crowded, in fact It seemed to be like I own the whole beach during my sojourn. I was eventually not satisfied with what I saw, maybe because I’m not a beach buff. After a few photos I captured, I resolved to visit another Resort to see what Gumasa beach can really offer and eventually, I demanded another suggestion from my driver as he smiled and said let’s go to the Coco Beach Resort. At the Coco Beach Resort, I went straight to the reception area where I was able to speak to the receptionist asking of favor. My driver told me that I can actually enter to the Resort without paying an entrance fee if I resolved to just stay there for around 10-15 minutes and so I did. The receptionist was kind enough to allow me and I ran straight to the beach. The moment I got there, I was welcomed by a lulling sound of sea breeze kissing my surface, and right that moment I feel the essence of the beach. The place is shrouded by a wide powdery white sand, very clean, and I truly appreciate the beauty of Gumasa. I was really glad seeing the waves kissing the shore as if gently ironing the white sand forming a perfect elevation as it seems to be a perfect playground of every itchy feet while the waves dashing on someone’s feet. I would eventually love to stay a little bit longer and feel the moment, but I’m already satisfied seeing the Gumasa beach even for a little period of time. I wish I would love to swim, but never did I see myself drenching in the cobalt blue water of the beach, hopefully soon I’ll be seeing myself loving to swim. I’ve been visiting a bunch of white islands and beautiful beaches, but to stay longer and swim I don’t usually do it. I just don’t know why, I’ll figure it out sooner. From Manila and Cebu City there are daily flights to General Santos City by local airlines. The moment you arrived at the General Santos City International Airport, take the Airport Shuttle going to SM or you can ask them to bring you directly to KCC Mall for only Php 150/head (For bookings and Reservation, call or text these mobile numbers +63-9473762739 or +63-9499975754). From KCC Mall take the Van bound for Glan. The regular fare is Php 100 as of September 2016 and travel time is around an hour. From Glan Terminal, you can take Motorcycle or Tricycle. The fare is around PHP60/head, if you like to stay at Gumasa Beach for a day, you can always negotiate with your driver to take you back to the terminal, but just make sure you deal with the right price. 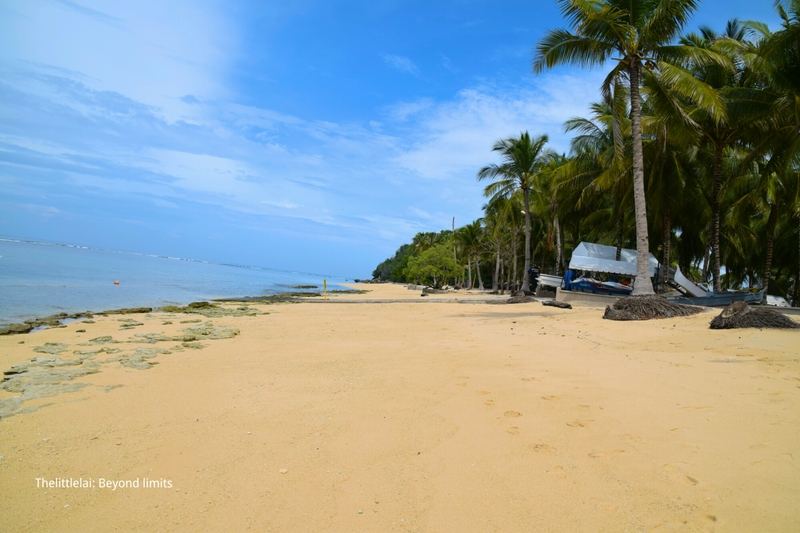 If you are traveling in a group or to make things easier, you can let the cat out of the bag to a van driver in GenSan and simply hire his vehicle going straight to Gumasa Beach. Prices depending on a one-way/ round trip. Always make sure you negotiate well, hence you won’t end up paying much than what your budget has. Constantly bear in mind when traveling, always stick to your prepared budget. 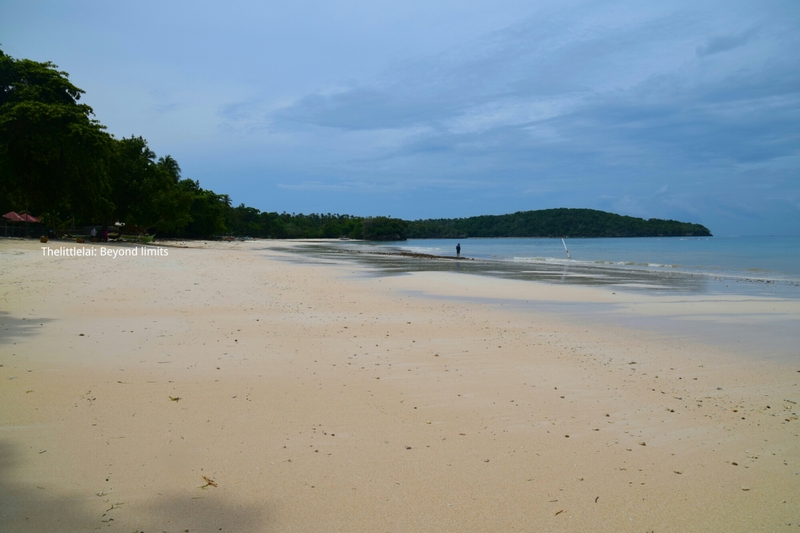 You can spend many activities such as walking on the shoreline, swimming, snorkeling and scuba diving. Some other amazing thing to behold is the sunset view along the shoreline. If you are really a beach buff, like you don’t care about the scorching heat of the sun that clings to you, then definitely Gumasa beach is the best for you. It’s like experiencing Boracay 20 years ago when it’s not yet commercialized, though for me, Gumasa is already commercialized since it’s no longer left in its innate state due the Beach Resorts fronting the beach. Anyway, you can always compare things, particularly if you have already been to different beaches in the Philippines, but I know each beach has its own uniqueness and own innate beauty to boast. Gumasa, Glan, Sarangani Province, Philippines. Contact numbers: 083)8930324, +63-9195330408, +63-9278237780, +63-9182965217. For Room rates, entrance fee, cottage and other amenities you can check their website at COCO BEACH RESORT. CONTACT NUMBERS: +63-920-9479148, 083-8269341, 083-8269319. NOTE: This blog post is part of my 10 day solo backpacking in SOCCSKSARGEN last September 9-19, 2016. You can as well check some of my travel journey and stories during my 10 days backpacking with the link below. ESPERANZA: The rising JEWEL of SULTAN KUDARAT. TBOLI KIDS: They taught ME the genuine essence of HELP. TEDURAY TRIBE OF UGIS: They CONFORM to NATURE’S WONDER. Panigan Underground River and Waterfalls: The unexplored GEM with a jaw-dropping beauty and MAGICAL story to offer. The unassuming comeliness of the MARAWIR PEAK as it’s selfishly standing in a valley. SEPACA SPRING: A cold stream of water in LAKE SEBU that provides a glimpse of nature. Previous Post: ESPERANZA: The rising JEWEL of SULTAN KUDARAT. Next Post: How TREES embrace CHANGE and why we HUMAN should as well? Talk about pristine and relative isolation. That I think is the appeal of Gumasa. It is not crowded and commercialized much like the other popular destinations. 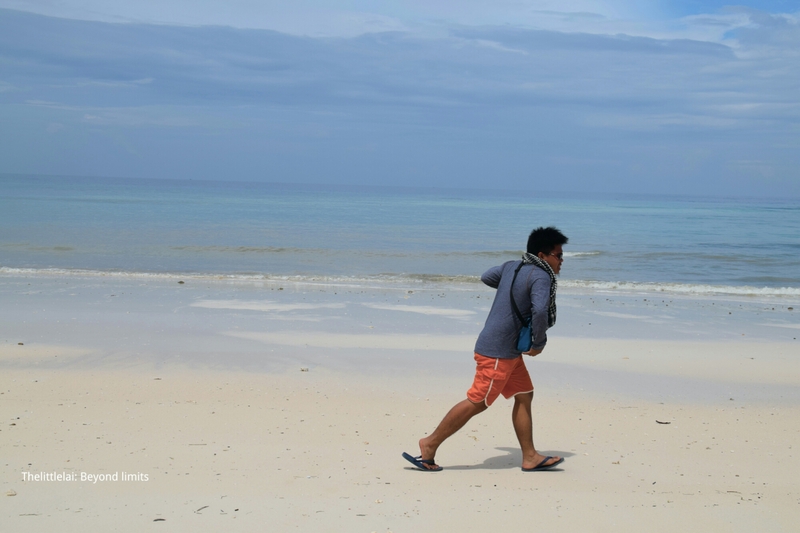 After living for five years in Boracay (1998-2003), I can say untouched, uncrowded, is more for me. Amazing how you get to visit these virgin beaches in Mindanao. Hopefully the peace and order situation in that part of the country will be settled soon so that more tourism can be encouraged. Been to Sarangani years ago but haveny tried their beaches. Tried malling at KCC Mall or more on buy some necessities. Reading your post made me miss travelling. never been to this side of the world before, but how amazing this place looks from the pictures and information you shared here got me wishing for one stop visit to this beach some day in the future. who knows? it may happen. A beautiful huge beach…and so empty. It looks like a great place for flying kites 🙂 Too bad that it’s not open to all. Great captures! It really shows off the beauty of the beach. It’s such a wonder to be a travel blogger/traveler. You get to go to places that amazes your readers. Btw, I love that you posted the full details of your travel! Beautiful. This place has been on my to-go list for too long. I better get a move on! I am also not a beach person but I love to take long walks! i must visit Philippines one day. I think so far I have only heard good things about the beauty the country offers. A clean and neat beach is such a blessing! I like beach like this. I don’t like overcrowded beaches. It’s one of the reason why I haven’t been into Boracay until now. There’s 7106 island that needs to be explored too. Now THAT would be apt for a day off or some “alone” time for myself. I bet the sand felt good on your feet too. Amazing photos. Whattttttt. Nindota gud diri! Dako and hilom pajud. Nia ang sand, klaro kaayo nga fine. I love long stretched beaches jud! I mean who doesn’t? I haven’t been to Sarangani, now I wanna go there soon! 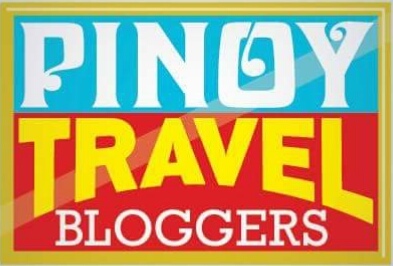 Himuon najud nako checklist ni imo blog Lai! Haha! The beach looks really amazing. I can just see the fine white sand really make it a really nice place to chill. It looks like you really had a great time. Knowing our country has too many beautiful beaches, I shouldn’t even be surprised to see such beauty now. But I still do. Our country is really wonderful. I am always just flashed by the beauty of your country ! What an amazing beach , beautiful white sand. I live on the Canarian Islands , where most beaches are black sanded because the islands are volcanic. I am just wondering , why are there no people to see? On the other hand , how much better if you can relax and enjoy the nature without being surrounded by lots of screaming tourists! Beautiful images ! I’m also not a beach lover mostly because I hate basking under the sun. But I like the peaceful setting and also the sound of waves especially at night when there’s not much noise in the area. Coco Beach Resort looks so clean! It’s shocking to know that I haven’t been to Gumasa. To think that I am from SOX and constantly traversing Gensan and Sarangani. Such a shame! Good thing it was you who was there. If it was Kath, Chris or Rady, I would probably be looking at nifty OOTD poses that will make millenials squirm in envy. I really would love to go to an adventure with you. Hopefully, sooner than later. OMG, GenSan! I have friends who live and grew up there but I haven’t been to the place myself. I have heard so many stories about it though. The place looks awesome, the beach looks isolated! Perfect for some “alone” time. But I am curious about one thing. I have heard that GenSan isn’t really a “safe” place. 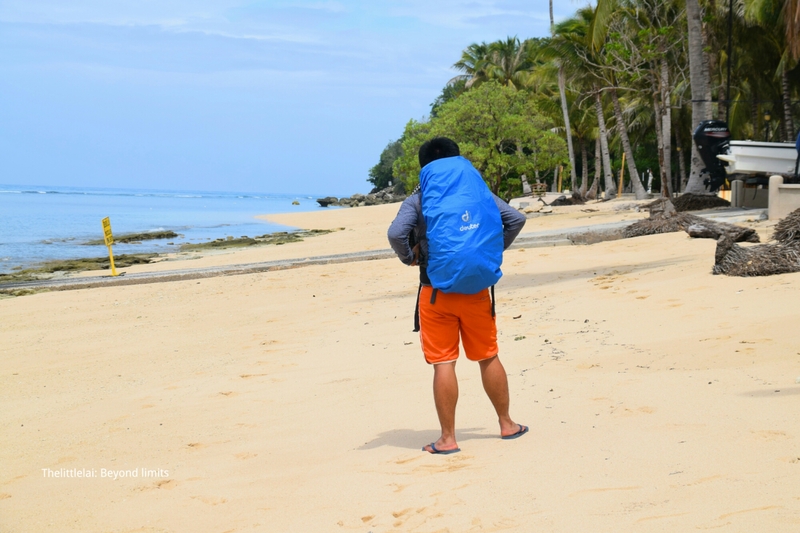 What made you go backpacking to Gensan? This so looks like an idyllic beach.. it sure is so serene and peaceful there… I won’t mind putting up and tent and sleeping there one night…Love your photos…. it is so pretty…. There are so many lovely beaches here and it’s awesome that you got to see each one. I hope reconsider swimming! The waters are pristine and very lovely! I think people should start changing their perspective about Mindanao. 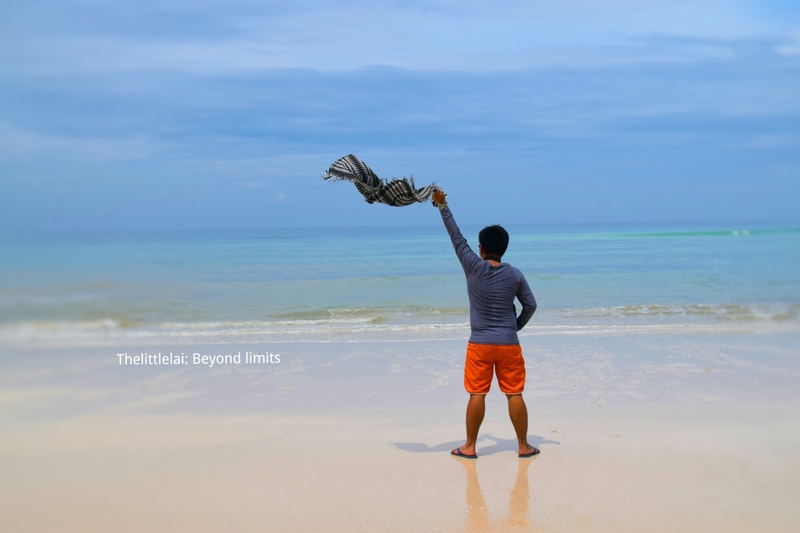 I would like to believe Gumasa beach is one wonders in Mindanao. Serene and tranquil just what beaches should be. Yes, it’s even more amazing when you traipse your feet to its fine sand. Great job laying out the details and tips yet again! The place really looks untouched and the absence of any crowd really appeals to me. 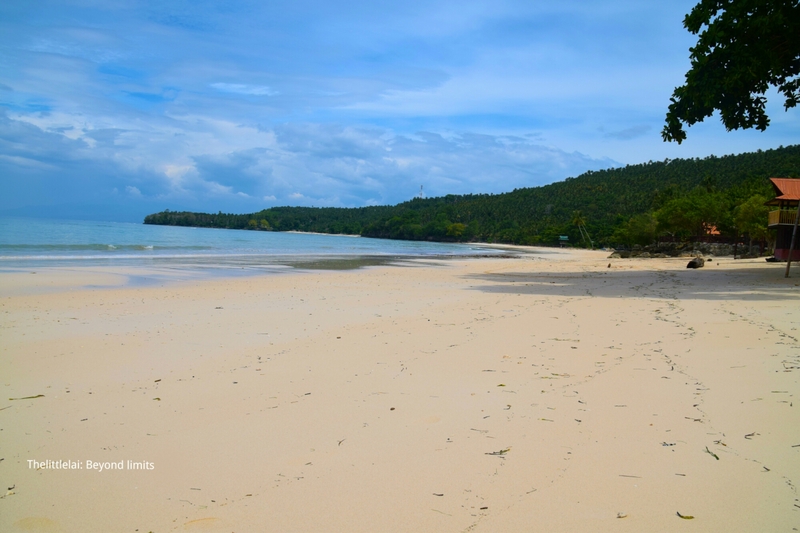 We have a few beaches back in Surigao del Sur that are as uncrowded and happen to be very clean as well and even if they’re not really white sand, I’d still chose them any day over someplace crowded and busy. Wow, what an Amazing read! In my mind, I’m no longer at my kitchen table in Sweden 🙂 I’m a big fan of turquoise water, beach, sand- you name it! Much value in your post, and I love your beautiful pictures as well. This is paradise! I love all kinds of bodies of water and this story is just perf! I love how detailed this post is and how beautiful your photos are! Would definitely add this on my travel spot list. OMG!!! This is why I love beaches. Huhuhu and this place is perfect. I can’t believe you got shots without any people. Most beaches I’ve been eyeing are now too much in the public eye so it really isn’t a great place to relax but these look just peaceful. Ahhhhh, I hope to go here someday. It’s relatively near too. 🙂 Thanks so much!! There’s so much to see of the Philippines. It truly is a wondrous beauty. One of my goals is to get to the beach more often with my kids. The list of places you provided will be a great help! The place looks incredibly beautiful. I’m a sucker for all secluded, serene beaches and this is just my type!!! This is a great beach in Saranggani! I got to explore now more of Mindanao’s gems, except Iligan :D, aside of the commonly known on the news. Thanks for this! I really love it when beaches are clean and not crowded. One question though, who takes your photos, Lai? If I remember it correctly, this is a solo adventure, right? Hahaha. Wala lang…it feels awkward for me to pose in front of a camera. I don’t even tell the partner to do it much less a stranger. (I assume, your guide is with you?) Hahahaha. Oh my God! Gumasa Beach is very beautiful! And walang tao! I love beaches with no people in it! Philippines has a lot to offer. A place like this is a haven for someone like me who doesn’t want crowded beaches. The place looks pristine. Wow! You’ve been visiting different places Lalai. And its a good thing that you have been sharing your experience to your readers. Kudos! Keep safe on all your travels. 🙂 Good luck. I am from Mindanao but I haven’t been too Sarangani Province yet, I envy you so much on your trips. I have never heard about this place nor did I expect that Sarangani has a secret gem down there. 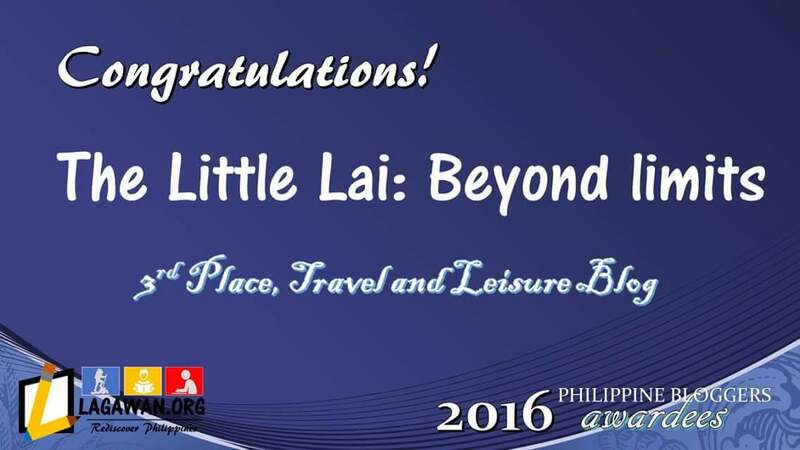 Thanks lai for sharing a little piece of Sarangani with us. The beach looks like a slice of paradise. What I love about it is its seclusion, I do not see people around and assume that the place is a quite and relatively untouched beach. Watching a sunset or sunrise from this lovely beach must indeed be one of the rewards of life.